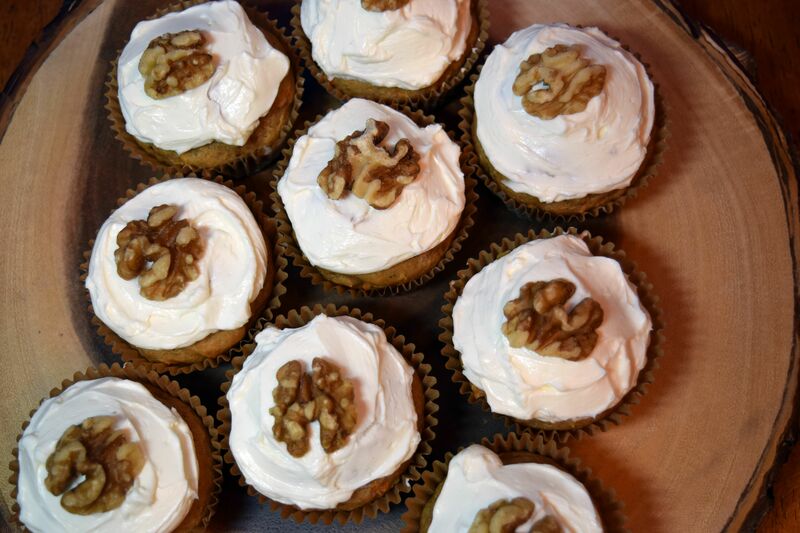 In response to a reader from the Monkey Bread Post I made some lower carb carrot cupcakes with cream cheese frosting for the blog today. The recipe called for whole wheat flour to provide more fiber, yogurt and applesauce to replace the oil and much less sugar to help lower the carbs. I took some over to my mom to let her try some. She texted me back, “What’s the story on the cupcakes?” That’s mom-speak for “those are horrible” but I knew that already. I think the story is that they are better to look at than to eat. The flavor was fine but the texture was a bit gummy from the yogurt and applesauce and also a bit tough from the whole wheat flour. This recipe needs some work, for sure! But I will try again another day. 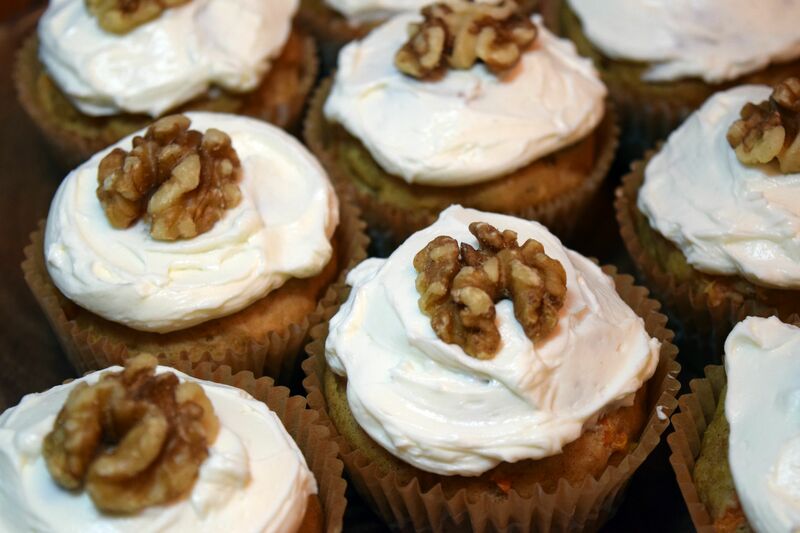 I like carrot cake and I think it should be an easy recipe to adapt to make lower in carbs. School started back for me again today. Unfortunately no one seems to want to pay me to sit at home and play with my dog and cat all day so I had to go in. But fortunately it was a staff development day so it was nice to talk to adults and learn some new educational strategies. Now it is raining in Atlanta with tornadoes to the west of us in Alabama. I may be heading to the basement shortly whether the teenage man cave inhabitants like it or not. 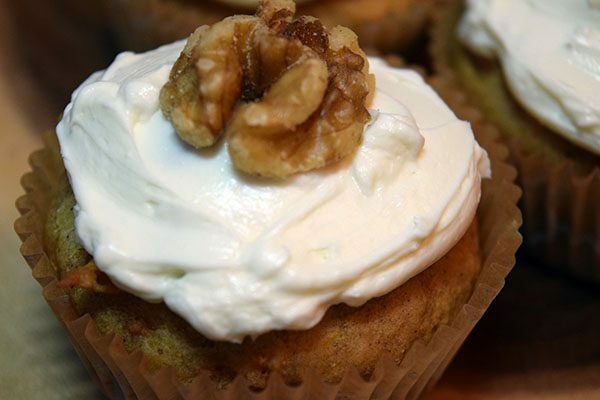 I can bring the carrot cupcakes while we hunker down. Desperation and fear might make them taste better.